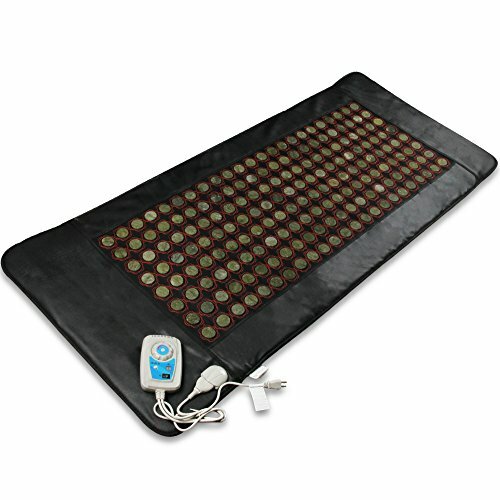 This healing mat includes 184 pieces of natural jade stones - the Asian tradition of heating jade stones for comfort and health. Every jade stone 1.6" in diameter. With a programmable Thermostat, provides safe, long-lasting, deep penetrating far infrared therapeutic heat. The temperature adjustable from 25 to 50 degree in Celsius. Size: 69" (L) x 31" (W) x 1.4" (H). Heats in winter, cools in summer. Provides negative ion therapy. Block harmful electromagnetic radiation. Improve blood circulation and immune system.. Relieve pain and stress. If you have any questions about this product by D&M, contact us by completing and submitting the form below. If you are looking for a specif part number, please include it with your message.